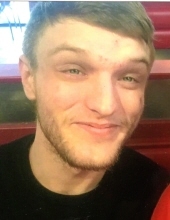 William Benton “Billy” Childers of Norman passed at the age of 23 on November 1, 2018. He was born in Nashville, Tennessee on December 29, 1994 to Lorraine Anne (Simmons) and William Robert Childers, III. Billy moved to Norman with his family in 1999 and attended Norman Public Schools, including Wilson Elementary School, Longfellow Middle School, and Norman North High School. Billy loved baseball and played T-Ball in elementary school. He loved music and began playing the saxophone early on, even earning the title of “Best Male Band Student” all three years in middle school. He played through the 9th grade and was a member of the marching band that year. In addition to playing the saxophone, Billy was a “rapper extraordinaire”. In his spare time Billy enjoyed playing first person video games, including the Fallout series, Call of Duty, and Destiny 2. He loved science fiction and horror movies, and never missed a Stephen King book. Billy was also a Star Wars fanatic. Billy loved animals and was always up for a trip to the zoo. He would stop and rescue any turtle he saw in the road. He was a great brother to his little sister, Jordan, and he had a huge heart. Billy never met a stranger and he attracted friends like a magnet. Billy was preceded in death by: paternal great-grandmother Mary Margaret Shaw; maternal great-grandmothers Mary Lee Simmons and Agnes Blair Brooks; paternal grandmother Marla Gaye Rowe; and maternal grandfather David Lee Simmons. Billy leaves behind: parents Lorraine A. and William R. Childers, III of Norman; sister Jordan Lynn Childers of Norman; great-aunt Carroll Denham of Norman; cousins Kim Chidsey, Tallon Dennis, and Leslie Elfring, all of Oklahoma City; uncles David Anthony Brooks and John Brooks, aunt Christine Brooks, and cousins John Patrick Brooks, Thomas Brooks, and Claire Brooks-Trojan, all of Canada; and cousins Angela Simmons, Jason Simmons, Brian Hayes, Robbie Hays, and Gary Hayes, all of Missouri and Iowa. Memorial donations may be made in Billy’s name to The Virtue Center (215 W. Linn Street, Norman, Oklahoma 73069; 405.321.0022; www.thevirtuecenter.org/donate). Billy’s family will be present to receive friends from 6:00-8:00 pm in the funeral home’s downstairs event center on Wednesday, November 7th. A celebration of Billy’s life will be held at 2:00 pm on Thursday, November 8th at Wildwood Community Church (1501 24th Ave NE, Norman), with burial following at Denver Cemetery. To plant a tree in memory of William Benton "Billy" Childers, please visit our Tribute Store. "Email Address" would like to share the life celebration of William Benton "Billy" Childers. Click on the "link" to go to share a favorite memory or leave a condolence message for the family.